The sliding panels of the Horizontal Sliding Wall Glass Partitions provide continuous and transparent glass surfaces without any lateral frame elements. All functional components are concealed in the top and bottom door rails, while convenient clip-on covers in various materials and colour shades cover all visible surfaces. 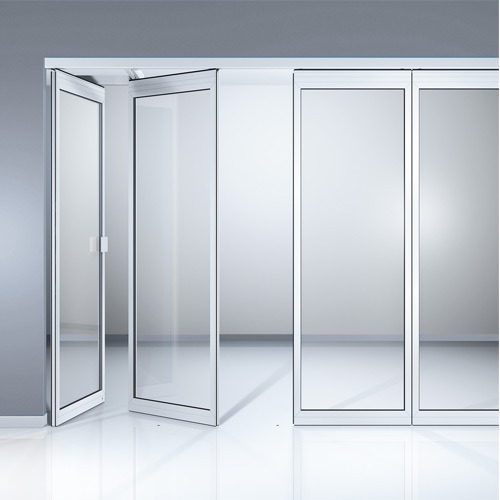 Each of the movable sliding elements may also be configured as a door, and optionally be equipped with one of DORMA's various door closers.